After a long day on the golf course the Fairway Flask will sure come in handy! 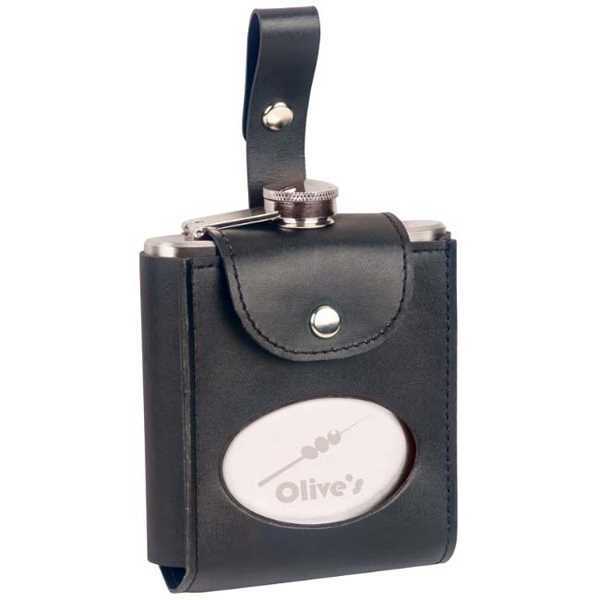 The six ounce stainless steel fairway flask measures 4" x 4 9/16" x 1 3/4" and includes a bonded leather case. You have the ability to imprint a personal message or your company name or logo for brand exposure. Take your favorite beverage with you on the golf course and quench your thirst for a great promotional product.